Rachel B.G. Sherman is a Principal in Cummings & Lockwood’s Private Clients Group and is based in the Stamford office. She joined the Firm in 1999. Rachel works with high net worth individuals and families to address their estate planning needs, including the preparation of wills and trusts, tax planning, multi-generational planning, planning for retirement benefits and real estate holdings, gifting and preparation of gift tax returns. 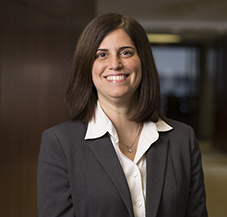 Rachel also focuses her practice on estate administration and trust administration, where she advises and assists families through the estate settlement process, handles probate court matters and provides guidance and legal services to fiduciaries.